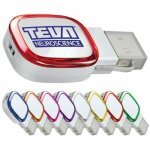 Is your smart device out of battery? 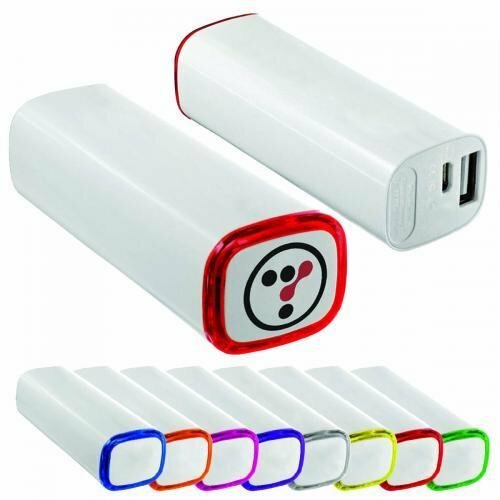 Use this 2200 mah power bank featuring a rectangle LED illuminated trim with 8 different color options and your Texture Tone™ imprinted logo. 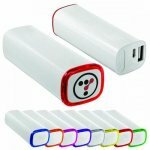 This power bank works on most android smart phones & tablets; Iphone, Ipad & Ipod. Production lead time for this product is 9 days. 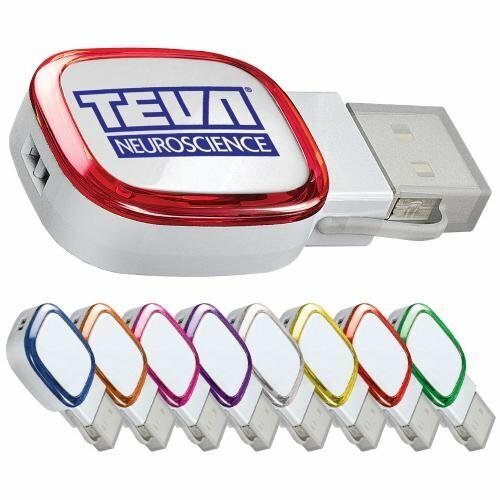 This 8G USB Drive is a perfect product to keep handy to save your data anywhere you go! 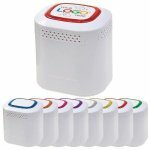 Featuring a rectangle LED illuminated trim with 8 different color options and your Texture Tone™ imprinted logo. 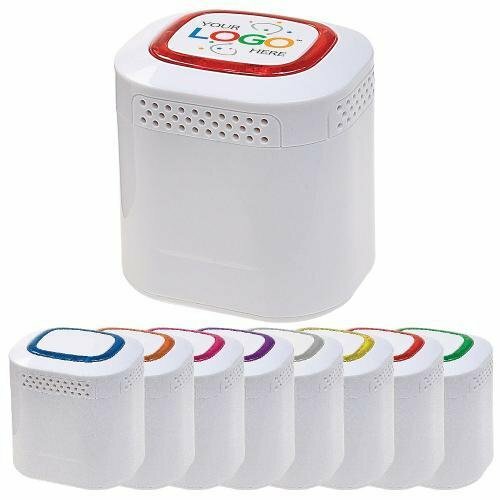 Take your music anywhere you go with this portable mini Bluetooth speaker! Featuring a rectangle LED illuminated trim with 8 different color options and your Texture Tone™ imprinted logo. 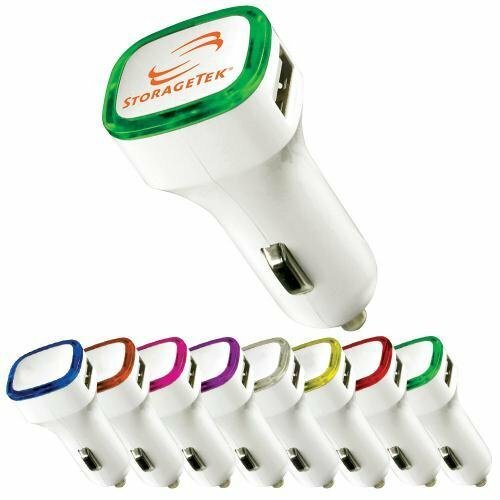 Keep your smart devices charged while driving with this dual USB Car charger featuring a rectangle LED illuminated trim with 8 different color options and your Texture Tone™ imprinted logo. 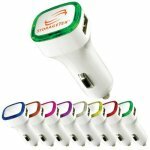 This USB Car Charger works on most android smart phones & tablets; iPhone, iPad & iPod. 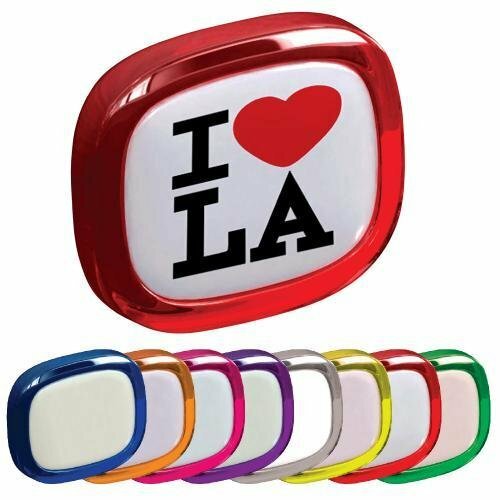 This fun vibrant magnet is a great way to show off your logo! Featuring a vibrant rectangle trim with 8 different color options and your Texture Tone™ imprinted logo. This retractable badge reel will be sure to get your brand noticed featuring a rectangle vibrant trim with 8 different color options and your Texture Tone™ imprinted logo. Perfectly designed to fit securely onto a belt loop, purse strap, wallet chain, key chain, orany type of wearable loop. 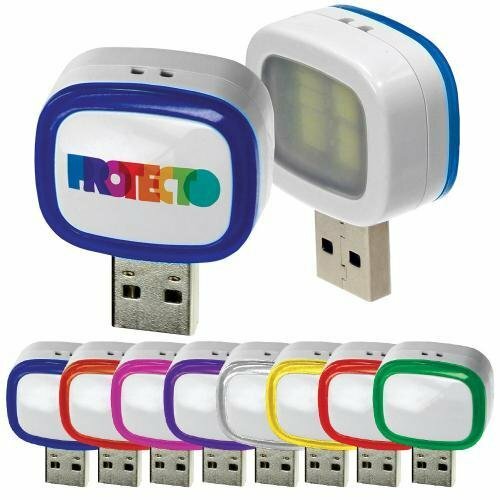 Light up your day with this fun USB LED light, just plug it in to any USB port or power bank. 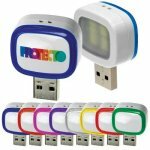 Featuring a rectangle LED illuminated trim with 8 different color options and your Texture Tone™ imprinted logo. 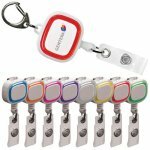 A great gift or promotional item to get your logo out there and noticed! Clock face is 1-1/2"